San Francisco doesn’t fit into a typical city mode. It is truly hard to describe. Over and over again the word eclectic comes to mind when I think of San Francisco. From the grittiness of the Tenderloin District to the posh air of Pacific Heights, I love that it a square peg and doesn’t fit into the round hole of most US cities. 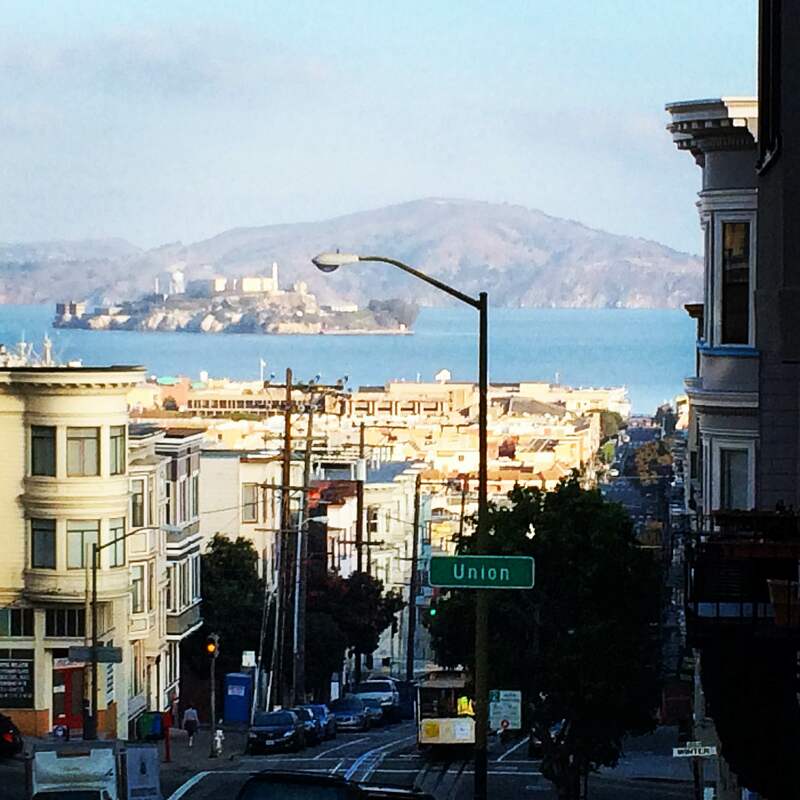 If you are looking for a fun fall getaway, let me offer San Francisco for your consideration. Street view -Alcatraz Island looming in the background. I could probably give you 20 reasons why you should be booking flights to SFO right now why don’t we just cut to the chase. Get all of your touristy urges out of your system on Day 1. Ride the Cable Car, visit Alcatraz, get your obligatory photo of the Golden Gate Bridge and stroll Fisherman’s Wharf (although, I would skip that end of the pier and head straight to the Ferry Building). Yes, you probably could do all that in one day if you plan accordingly. Let your tourist freak flag fly high and feel right at home. Now that you have all of that out of your system spend some quality time exploring the area a little deeper and expanding your reach outside of the city. 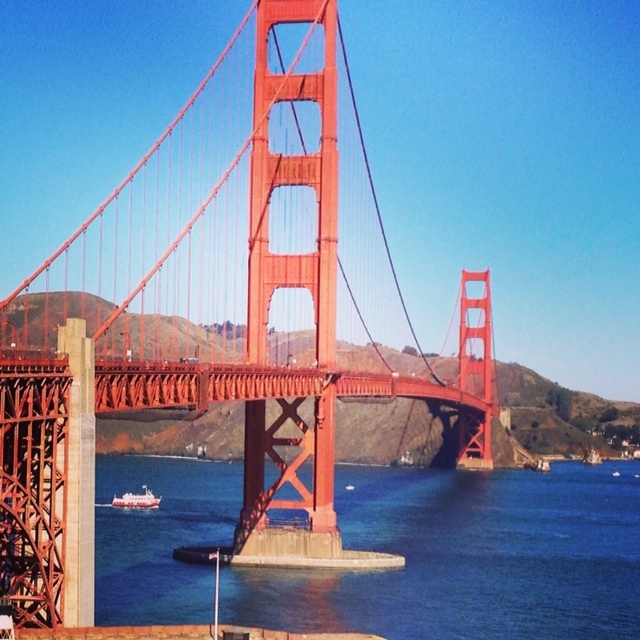 Here are my personal must-sees and must-dos while in The Bay Area. Everyone knows or should know that San Francisco is a foodie paradise. That is an entire subject to be featured in its own post. Yes, you will eat well in San Fran but don’t neglect your other senses. Feed your ears! The music scene in San Francisco is as varied as its neighborhoods. There is the iconic Fillmore Auditorium (for all forms of rock, pop and alternative) to other extreme – the San Francisco Opera. For every musical taste there are venues sprinkled about the city to suite you. One spot, Yoshi’s, is near and dear to me because it combines many of favorite things in one place – jazz, sushi and sake. This treasure has been around since 1972 and has locations in Oakland and San Francisco. 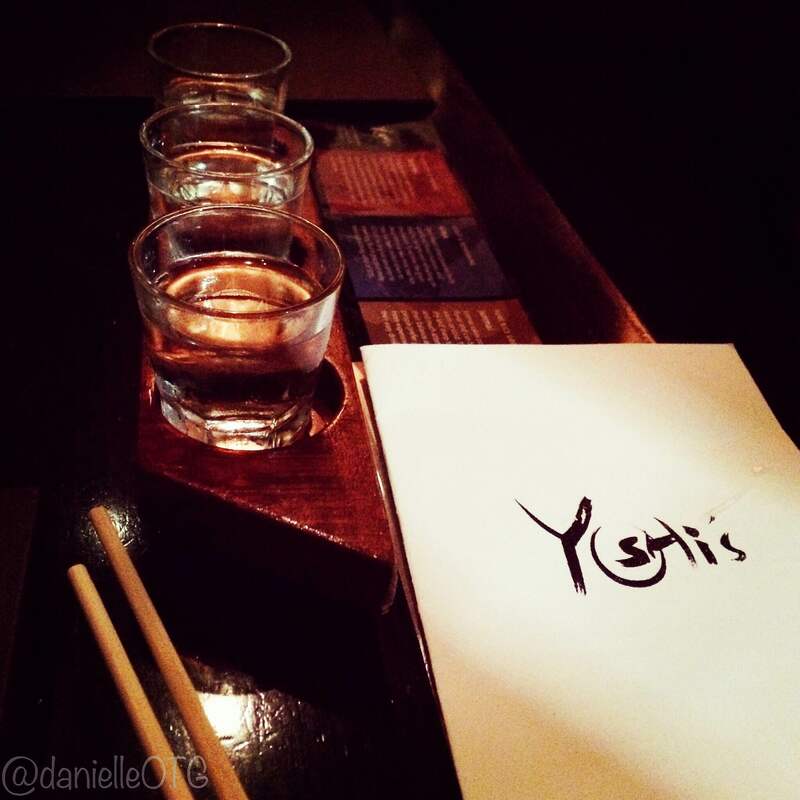 Flights of Fancy – sake flights to be exact. What you will find here is a restaurant with a laid back vibe and sophisticated edge attached to a live music venue that features jazz from classic to Latin to bluesy. Don’t be fooled by the ‘jazz club’ title. The Japanese influenced menu features traditional and Asian fusion choices to appease most palates. Do yourself a favor and allow enough time for a pre-show dinner and cocktails (or a sake flight) for well-rounded experience. You will consider it a highlight. Up to date events and restaurants deets for Yoshi’s can be found here. San Francisco does green space very well. Many travelers seek out a little green space for a hiking, running or biking while taking in a city’s atmosphere. Others want to explore museums or engage in cultural events while in town. 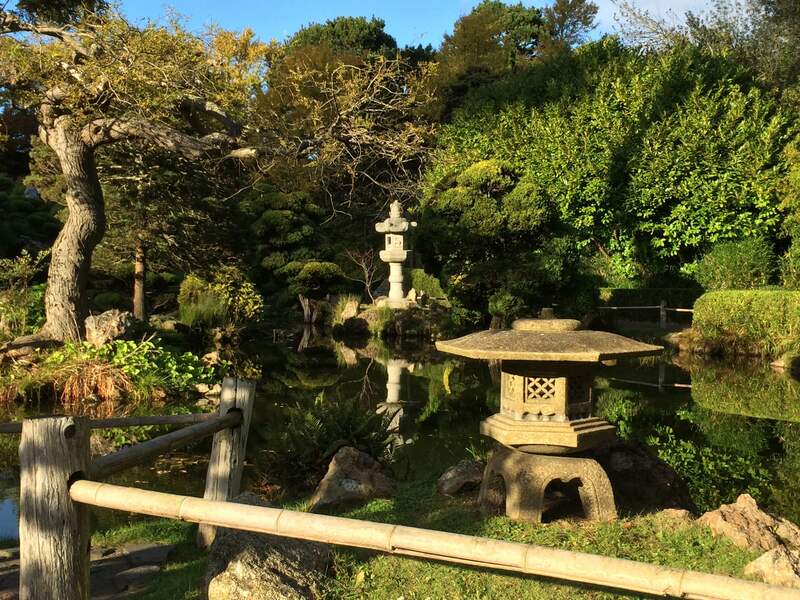 If you want it all in one place then visit Golden Gate Park. This ‘park’ is over 1000 acres and within it contains trails, gardens, museums, live performance venues, playgrounds, picnic space and even a golf course. You could spend a week here and not to do the same thing twice. OK, so maybe you don’t have a week to play hooky at the park. 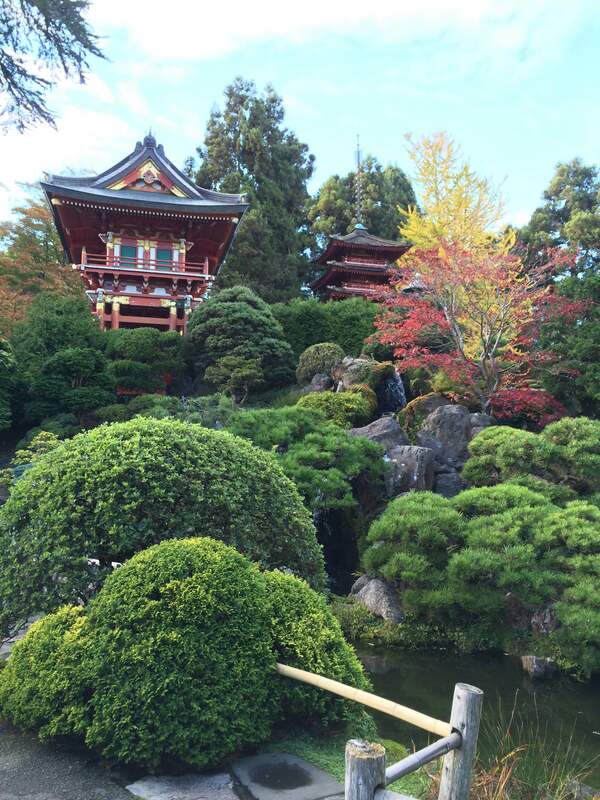 With that in mind, I would urge you to visit the California Academy of Sciences and the de Young Museum, BUT before you leave the park you absolutely must stop by the Japanese Tea Garden. It is the oldest tea garden in the United States and in my opinion it is most beautiful during the fall months. 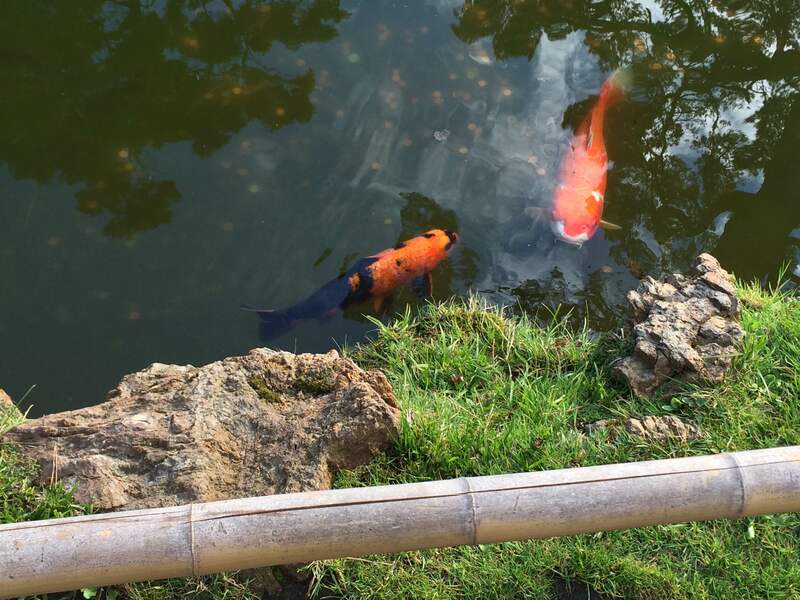 Spend some time wandering around the beautifully manicured landscapes, koi ponds and five-story pagoda. Love. At. First. Sight. Number 4- Go Big Before You go Home. Big like Redwood Big. 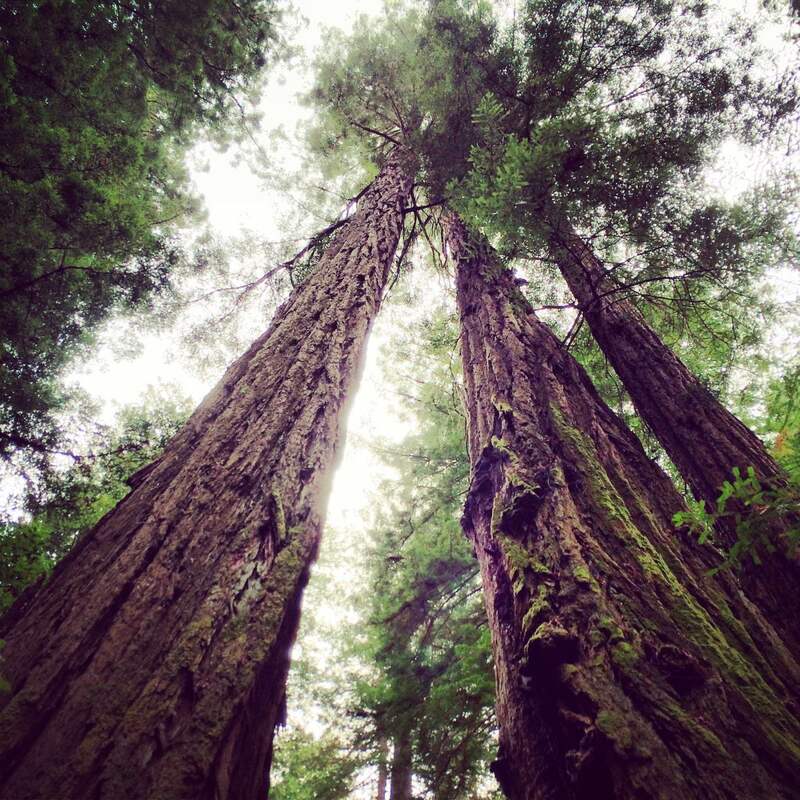 By guided tour or exploring on your own, a visit to 100 year old Muir Woods National Monument is, well, monumental. The tallest trees in the Muir woods peak past 250 feet mark and average in age of somewhere around 600 years old. The oldest coastal redwood on site, according the National Park Service, is 1200 years old. That, my friends, is the epitome of living and breathing history. We took a small group tour day trip from the city that included Muir Woods and time the very charming town of Sausalito. What a lovely time. Our guide provided hoards of historical details about the park and surrounding area during the drive from San Francisco. We were then free to explore the park on our own. Park Rangers and volunteers are also on site for guided tours if you prefer. The park is open year round but I find the fall months more pleasant and less crowded. Your time in the park can be a leisurely stroll or an energetic hike. Grab a map and cover as much ground as you please at the pace of your choice. Plan your visit in advance if you like. More details about this National Park at your fingertips. Before returning to San Francisco our tour stopped for lunch in Sausalito. I have two words for you – fish tacos. We couldn’t have asked for a more picturesque backdrop after a morning of nature lovin’. 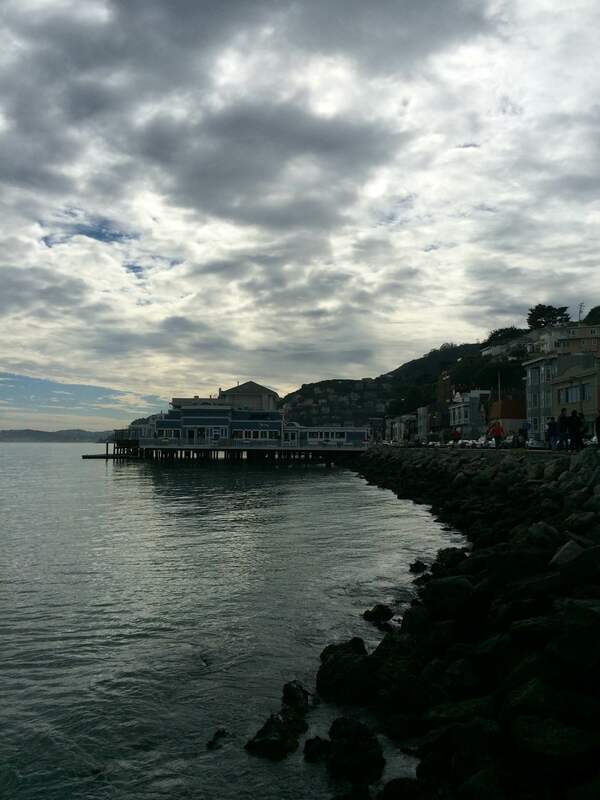 Sausalito can be reached by ferry from San Francisco if you would like to spend more time here sans the tour. It offers a lovely boardwalk for shopping and strolling as well as opportunities for sailing and kayaking ton the bay. Number 5- Let there be Wine! 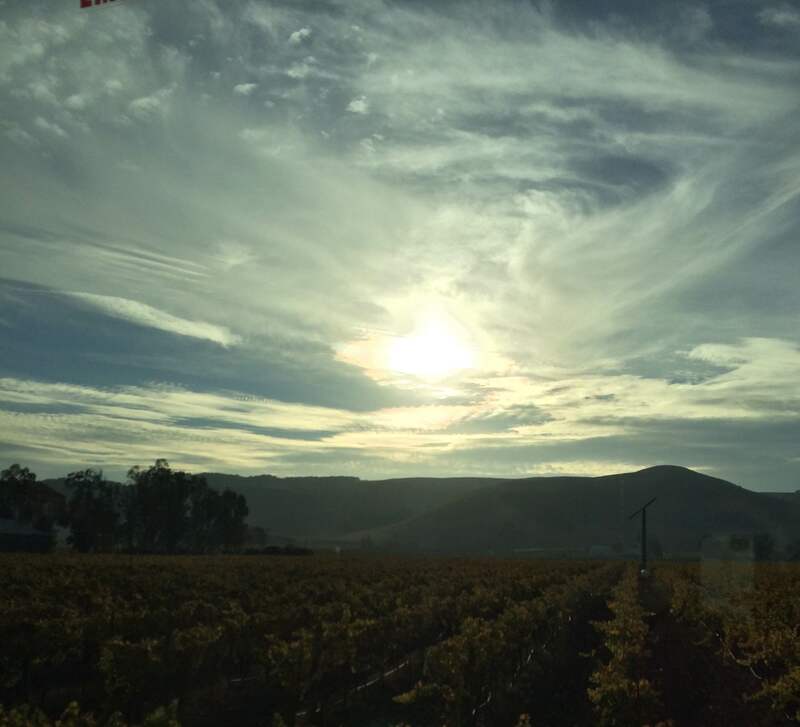 Seriously, if you are this close to Californian wine country it would be criminal not to spend some quality time vineyard hopping and wine tasting in Sonoma and Napa. If you are the anti-tour group type then I beseech to reconsider just for one day. This is the kind of excursion that is enjoyed most when someone else is behind the wheel. 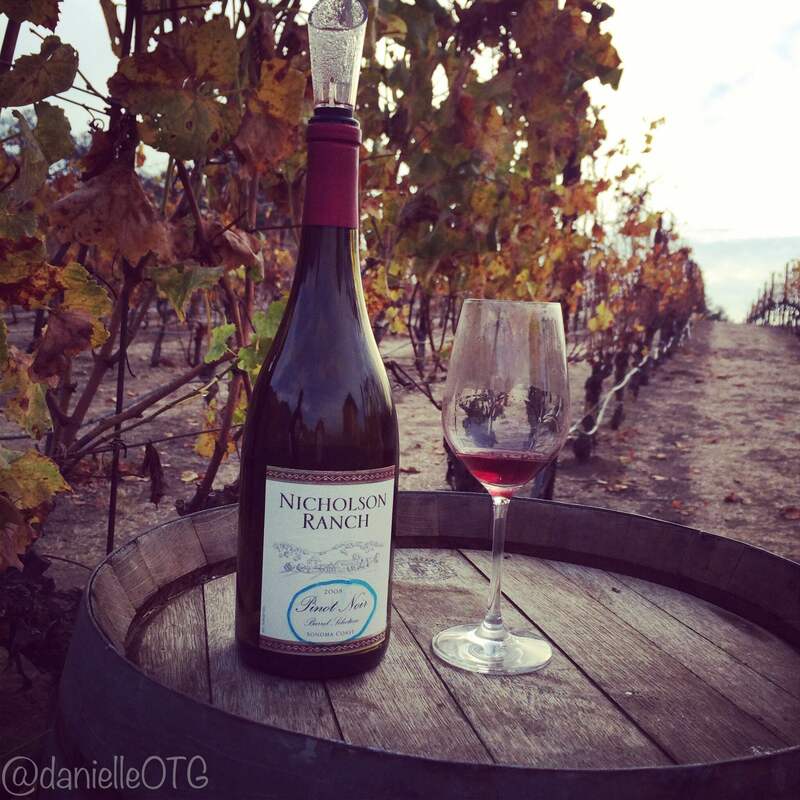 A small group tour or even a private tour of multiple wineries in Sonoma and/or Napa Valley is an outing that you deserve. Treat yourself! Our tour, yes I took full advantage of the designated driver, was a full day trip that included wineries in Sonoma and Napa with a stop for lunch in Yountville. Yountville, by the way, is so densely packed with Michelin-rated eateries all within a stones throw of each other that it is a destination worthy of its own guided tour. Whether you decide on a guided tour or solo exploration, I highly recommend including smaller wineries alongside the larger more established vineyard to get a complete experience. All of this, of course, could very well just be me showing my bias for one of my favorite places to visit and maybe longing for another long weekend in the Bay. Don’t take my word for it. You should make your way there and see it all for yourself. Yes? Yes! 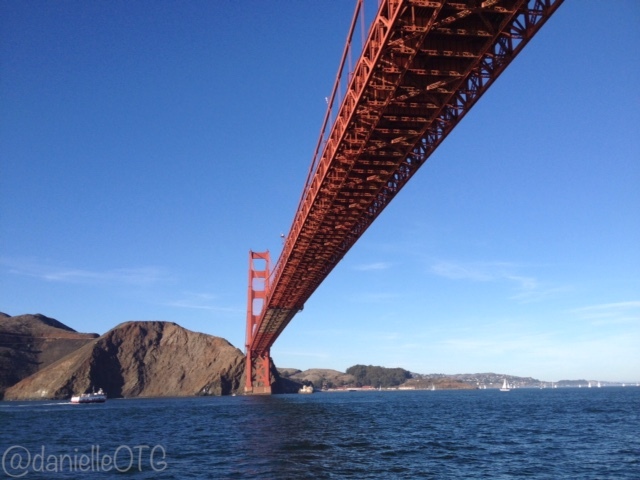 Have you visited San Francisco or the surrounding area? What was your favorite part? Or are the streets of San Francisco on your wish list? What would you like to see or do while visiting?